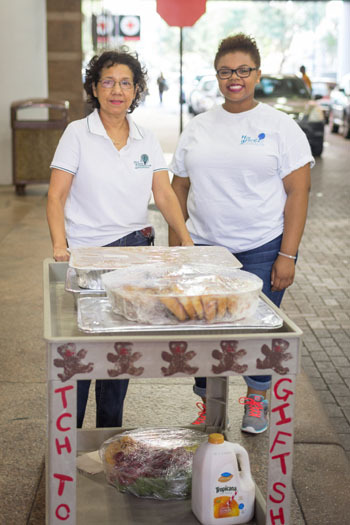 His Grace Foundation eases the multitude of stressors faced by families with children on the Bone Marrow Transplant Unit (BMTU) of Texas Children’s Hospital (TCH). Our services allow families to focus on supporting their child during the crucial treatment and recovery period. Greeting new patients and families on the unit with welcome baskets that have been specifically tailored to include items of interest, as well as necessities, for the individual patient as well as parents & caregivers. Parking assistance for families during their stay on the BMTU and during any further emergency re-admittances. A weekly shopping budget and delivery of groceries, personal need items, clothing and special requests by patients, parents and caregivers. Eight monthly meals to refresh and encourage families during their lengthy hospital stay, and meal delivery to families on the day of their child's transplant. Emergency financial assistance for critical expenses through our Families in Need fund. 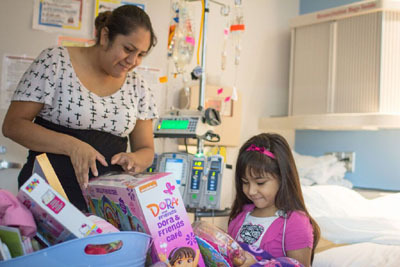 We work with Texas Children's Hospital social workers to identify true need and provide funding for basic needs such as housing, utilities, transportation, medical supplies, food and clothing. Birthday & holiday celebrations including special events throughout the year for both inpatient and long term survivors. Providing an art therapist and materials giving patients opportunity to express themselves through numerous art mediums. Offering free weekly chair massages for parents and caregivers. Training volunteers to provide respite care and comfort to children when parents need to step out of the Unit. Providing equipment, games and toys for media and play rooms. 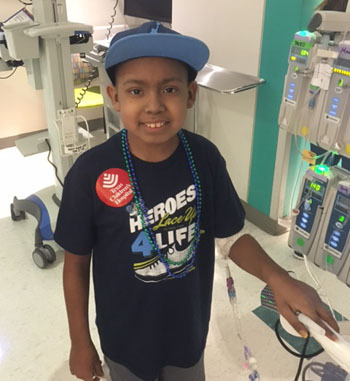 Five post-transplant homes ("His Grace Place") for patients and families outside the greater Houston area free during the 100-day period following treatment in which they must remain close to the hospital. The His Grace Foundation Education Fund supports the academic pursuits of current and past BMTU patients through tutoring, educational supplies, summer enrichment and scholarships.